Planning a trip to Italy? We’re here to help. Our free, online travel guide to Italy has any info you might need and our award-winning walking tours are some of the best in the business. Want to get the most out traveling to Italy? Particularly if you’re planning on visiting the big cities and tourist destinations like Rome, Venice, or Florence, then check out these tips to have the best, most rewarding Italy trip possible! 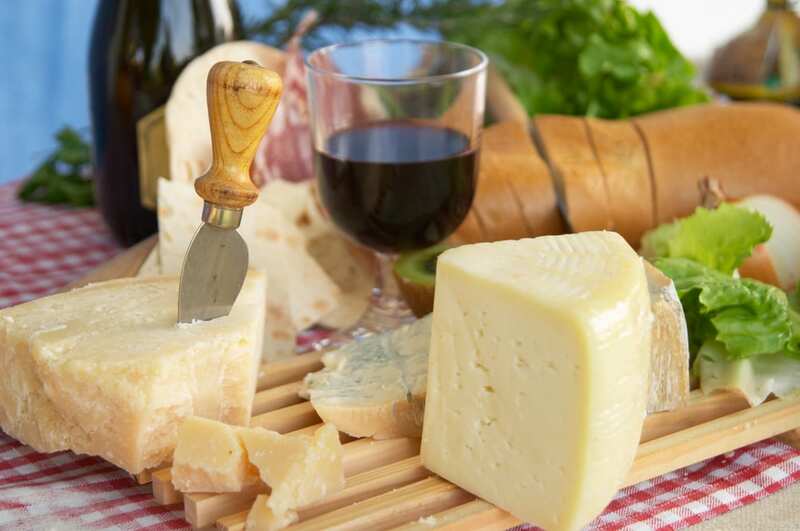 Don’t forget to make time to relax (and enjoy the food and wine) in Italy! No, not Raphael and Rome… rest and relaxation, of course! Believe us, we know: Coming to Italy is the trip of a lifetime, so it can be tempting to try to pack everything in. Accept that you can’t. Realize that even a lifetime of living in Italy wouldn’t mean you’d have seen all of the country’s incredible art, ancient ruins, or medieval towns. So let go of the idea, for example, that if you’re spending two days in Rome, you “have” to see the Vatican museums, Sistine Chapel, St. Peter’s Basilica, Trevi Fountain, Piazza Navona, Spanish Steps, Pantheon, Colosseum, Forum, Palatine Hill, Castel Sant’Angelo, Capitoline Museums, Mouth of Truth, Circus Maximus, and the Borghese Gallery. Instead, choose which activities are most important to you. They might not even be the ones that everyone expects you to do. But whether it’s tasting top-notch Italian wines, people-watching on a piazza, or going in search of local artisans, your choice is just as valid as something “everyone” does. And we promise—when you let go of the idea that you have to do “everything,” your trip will wind up being much more relaxing and rewarding! In Italy’s top tourist destinations, locals are used to tourists. But that doesn’t mean travelers can’t make an extra effort to be respectful and understanding of the local culture. One thing we know is a pet peeve to many city-dwellers in Rome, Venice, and Florence? Tourists blocking the narrow streets and sidewalks by slowly walking shoulder-to-shoulder and being unaware that anyone (someone late to work, let’s say!) might want to pass them. Remember that not everyone in Venice/Florence/Rome is on vacation—an attitude that will make your interactions with Italians much more pleasant! Of course, the major sights are major for a reason. But to get a real taste of “authentic” Italy, you need to head away from the crowds. We’re big fans staying in alternated destinations close to main tourist attractions, like staying in Salerno instead of Sorrento to enjoy the Amalfi Coast. But even if you’re planning the classic Venice, Florence and Rome route in the middle of high season, you can get off the beaten path—it just takes a little more planning. Stay in the Cannaregio or Castello neighborhoods in Venice, or in the Oltrarno in Florence. Add off-the-beaten-path sights to your list of must-sees, like, in Rome, the Aventine keyhole or the Santa Priscilla catacombs. 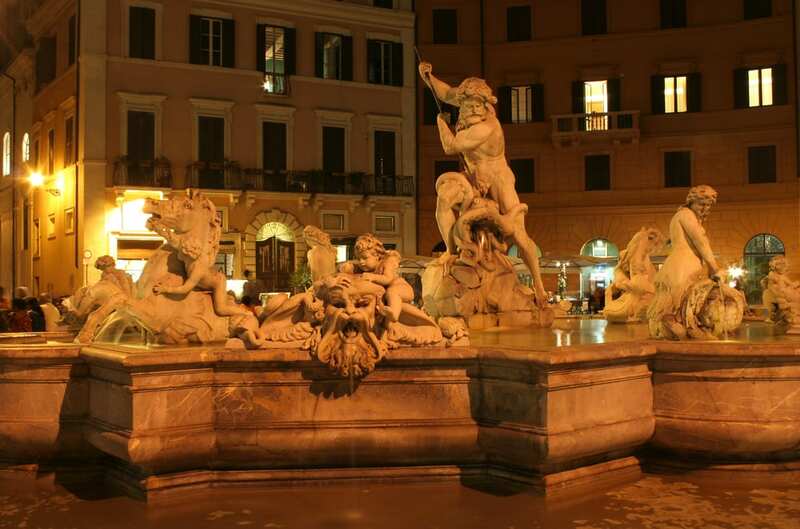 Piazza Navona is beautiful… but the restaurants on the piazza tend to be tourist traps! Easier said than done, right? But if you keep certain tips in mind, you can avoid the worst of the kinds of touristy, inauthentic, overpriced places that can make your trip go sour. Whether in terms of shopping or dining, following tip #1 and getting off the beaten path always helps. (If a store or a restaurant is a stone’s throw from Piazza Navona or the Duomo of Florence, for example, it’s generally going to be catering only to tourists… and if you want to experience the “real” Italy, that’s not what you want!). Avoid souvenir shops and consider seeking out a local artisan instead; even if the cost of your item is a little more, it’s much more lasting, and much more supportive of Italy’s locals and economy, than a made-in-China T-shirt. In terms of restaurants, steer clear of places that have hosts outside the door, places with tourist menus, and places that trumpet not having a cover charge. Here are other suggestions for how not to get ripped off eating in Italy. Like anywhere else in the world that receives millions of tourists each year, certain areas in Rome, Venice, and Florence are magnets for pickpockets. Even if you walk around with your purse unzipped and your wallet hanging out, you’ll probably be fine—but it’s not a risk worth taking! In general, be particularly aware on the metro and the bus, especially when it’s crowded. Also keep your eye out at crowded tourist sights (the Trevi Fountain, for example), where pickpockets prey on those who are thinking about getting that perfect photo op, not on the wallet in their back pocket. When sitting at a café or restaurant, especially outside, don’t simply leave your bag on the ground next to you. But in general, always be aware of your surroundings and know where your belongings are—even when you’re, say, trying to get that perfect shot of the Rialto Bridge! In terms of how to carry your money, zippered, under-the-shirt pouches for carrying cash are always the safest bet. Otherwise, men should carry their wallets in their front (not back) pockets, while women should use purses that zipper and have multiple zipped compartments inside. Backpacks and “fanny packs” are particularly vulnerable, even if your waist pack is in front. You came to Italy because it’s a different country. So, even if it’s sometimes different in ways that can be frustrating, embrace it! Remember that even the more negative-seeming aspects of the culture developed for a reason, even if it might not be immediately clear to you. And try to keep a flexible, positive attitude, no matter the situation. Yes, there’s a dress code for major churches, like St. Mark’s Basilica and St. Peter’s Basilica. 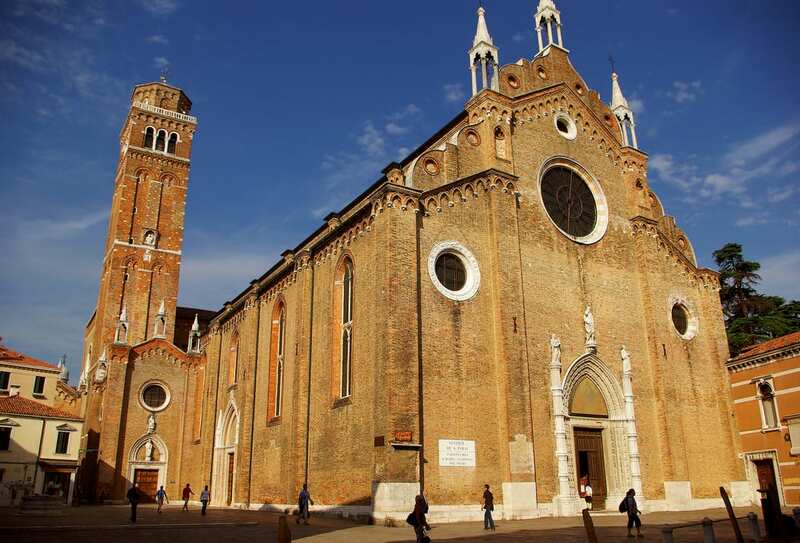 But many other churches in Italy also are gems you’ll want to check out, and you never know when you might pass one. You’ll feel silly if you can’t because you’re wearing a spaghetti-strap tank top! In general, shoulders and knees should be covered for men and women. If it’s a boiling-hot day and you simply must wear less, make sure to throw a few scarves or a cardigan into your bag to carry around with you. Don’t try to “sneak in” in super-short shorts or a tube top; even if other tourists are “getting away” with wearing less into the churches, wearing appropriate clothing is the respectful thing to do. Have we missed any Do’s or Don’ts for Italy? Let us know! I read this article before we left for Rome, Italy in March of this year, and everything they said is true. If you follow all the advice the article has to offer you shouldn’t go wrong. There is one thing I might suggest, men who wear loose trousers, not jeans, should even beware of their wallet in their front pockets on a crowded subway or train, because you can still be pick pocketed, it happened to my husband. None the less, we had a great time and would love to go back, not Rome, perhaps Florence. Have a great time, like we did. All of these tips are spot on. As an American living in Lucca, I can attest to each and every one, especially #2. Thanks for a great blog! Totally agree with the list. 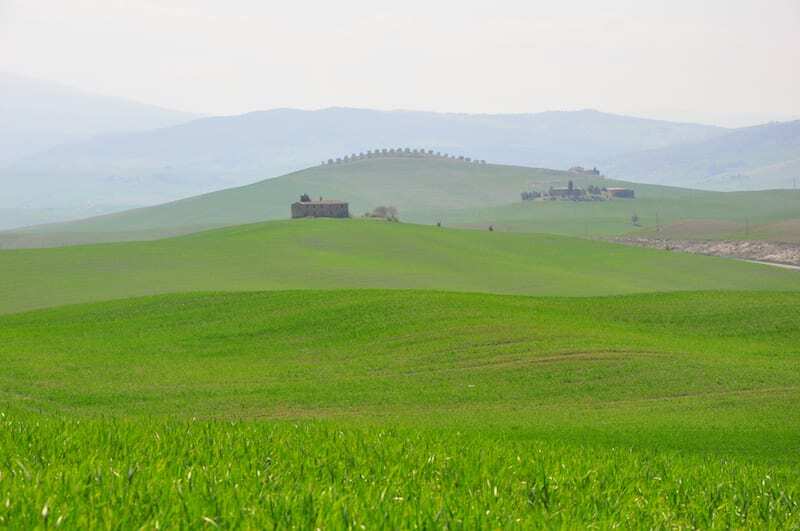 I would recommend anybody go into the countryside and visit the small paesinis. We lived in Italy for 2 years and still spend 6 months a year their – try to use some Italian – even if it is not the best -TRY- it will mean a lot to the locals – and it will allow you to strike up a conversation with them – you/they may not understand every word – but it is soooo worth it – being invited to a meal at their home is the single best experience you can have – of all the wonderful things to experience in Italy the people are the best! I’ve been reading on proper attire; is it ok to wear jeans or dress pants to the Basilica? I also read somewhere that “flat shoes” are sometimes not allowed in some places? We plan on going last part of October early part of November, how’s the weather then? Jeans, dress pants and flats are all allowed and accepted! The weather in that time period varies based on how far north or south you are (south being generally warmer) but Italy is a temperate climate – around that time it will be autumn with autumn temperatures. Prepare for chilly temperatures and maybe a bit of rain. Get off the beaten track but remember Italians love tourists but think they should adapt to Italian way of living, not viceversa!